The 7000 Lumen Air Kit provides an interchangeable light head for the Sola Video Pro 8000. * Allowing the system to run above the surface at 7000 lumens for 60 minutes, the kit reinvents the capabilities of professional underwater imaging lights. 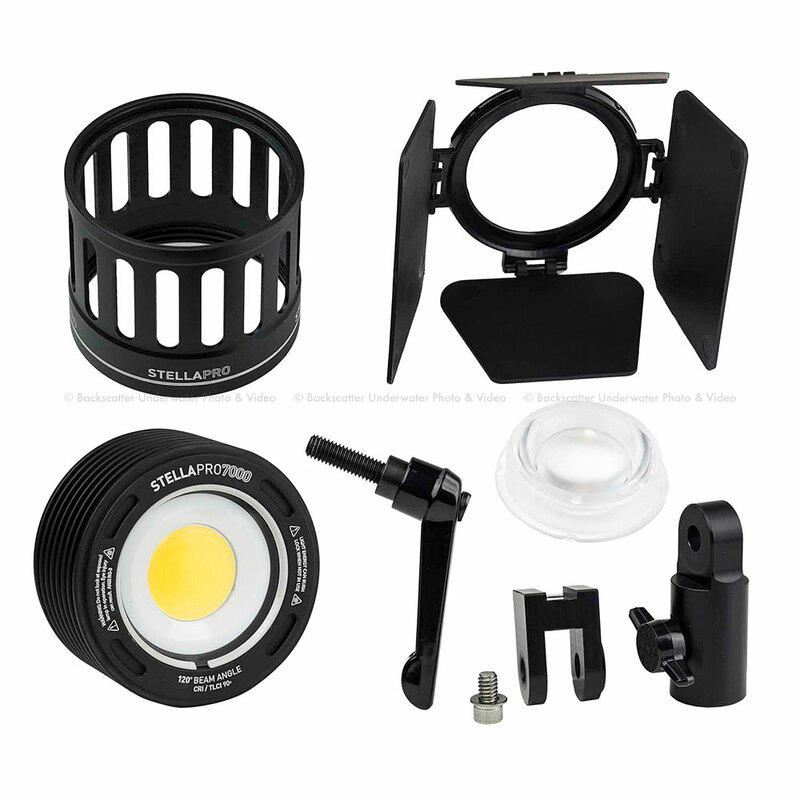 The light head supports all the in air modifiers of the Stella Pro and allows the light to run directly off of wall power for extended shoots.